Marissa Farrar: Free Novel on Amazon Today! Free Novel on Amazon Today! 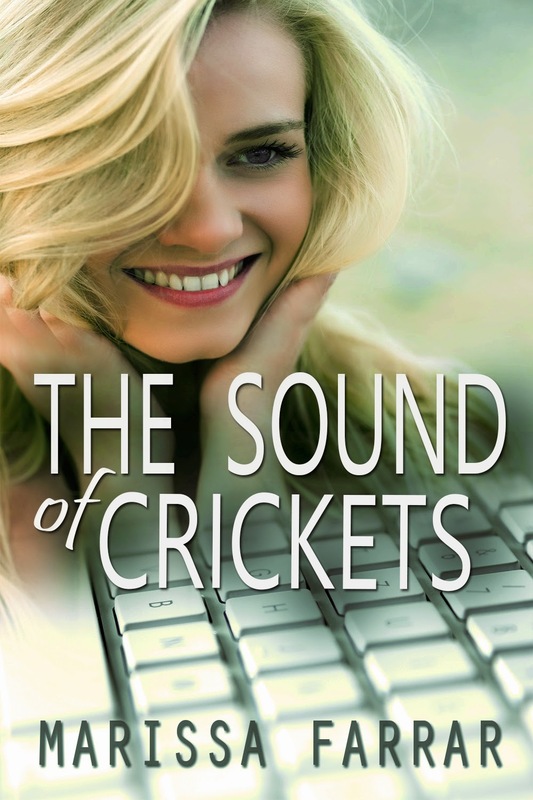 I've decided to take another little plunge into the world of KDP Select and so my women's fiction novel, 'The Sound of Crickets', is free on Amazon for the next three days only, starting today. I think of this novel as 'Bridget Jones's Diary' meets 'Steel Magnolias'.There are no vamps or shifters in this book, but there is a touching story of friendship between four women on line, something I think most of us can relate to in this day and age. I hope you'll head over to Amazon.com or Amazon.co.uk and grab yourself a copy. Here's the blurb and the new cover! Named after Amelia Earhart, the first woman to fly solo across the Atlantic, Amelia Thompson always thought life would have given her wings. Instead, she finds herself stuck at home with three small children, and a body she no longer recognises. Hoping to connect with like-minded people, she decides to reach out on a women's forum to try to find others with whom to start a blog.